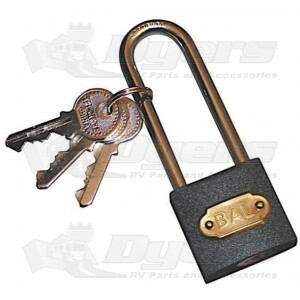 Increases trailer security and lessens the chance of chock or trailer theft. Align the holes of the Deluxe Tire Locking Chock top washer to accept the locking pad lock’s U-shape bar to secure the chock in place. just got back from holiday and had the chance to use this at its fullest and worked great. parked on a slight downgrade and trailer never moved when the truck was detached.